The new entry level cricket program has arrived!! 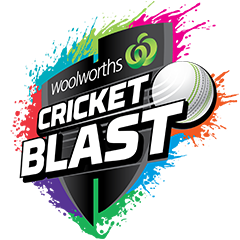 Cricket Blast replaces Milo In2Cricket and T20Blast from previous seasons with some format changes and Woolworths joining as the new sponsor. The format is set up for young cricketers who are either new to cricket or who aren't ready to take on competitive cricket fixtures. It's fun. It's fast. It's a blast! Cricket Blast commences on Friday 19th October, 2018. For more information, check out our Cricket Blast page in the menu above!